My neighbour brought to me this DVD receiver to my shop for repair a few days ago. 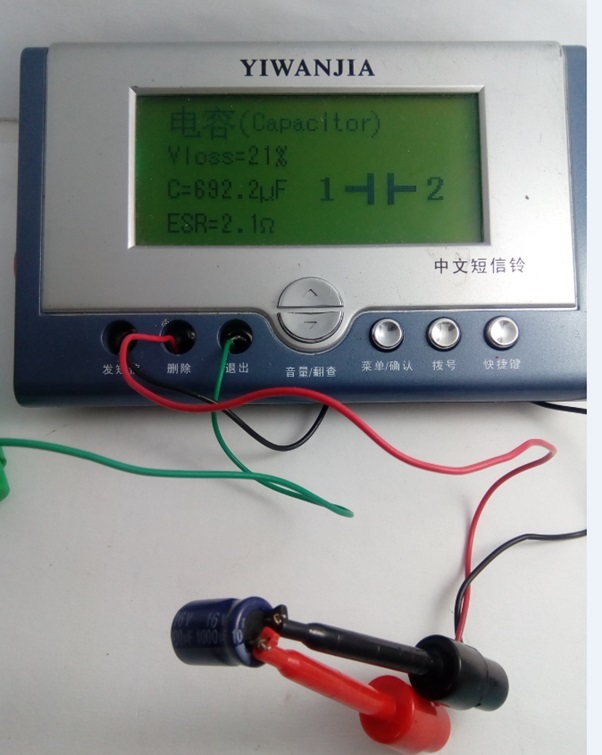 I did my usual initial test by connecting it to the power outlet even before opening it. I noted the machine was powering on briefly and then shutdown, with this I concluded that the machine is getting powered but shutting down due to overload somewhere within the system. With this in mind now it is time to open up and find out where the problem is. I opened up the set and here is the internal parts of the system. After opening the machine now it is time to do initial tests which in my case I usually start by checking for any suspect component or area which manifest any sign of stress. 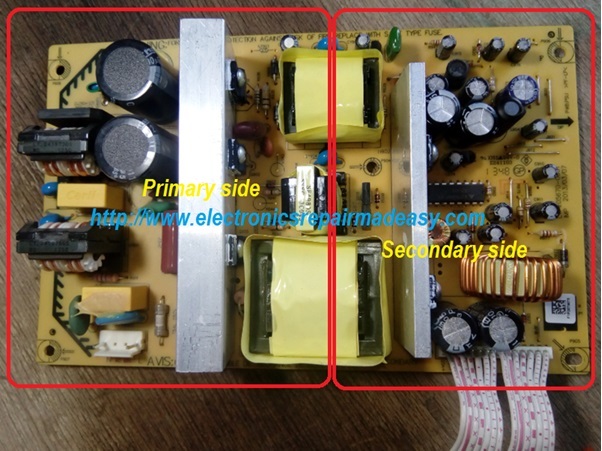 I started with the main power supply (S.M.P.S) primary side and everything looked OK.
Next I scanned the secondary side and I almost gave it a clean bill of health until I came across two capacitors with the top slightly swollen. The owner was still around and after seeing those two capacitors I now decided to give him the repair estimate just in case I replace the two components and the machine works! It is always important to agree with the owner the total charges otherwise some will have problem paying the total charges once it works. He agreed and luckily I had the replacement in my store and I replaced the two capacitors with the same value but higher voltage rating. The capacitors which rated 1000uF/16v were now reading 692.2 uF (capacitance) and ESR of 2.1 ohms. 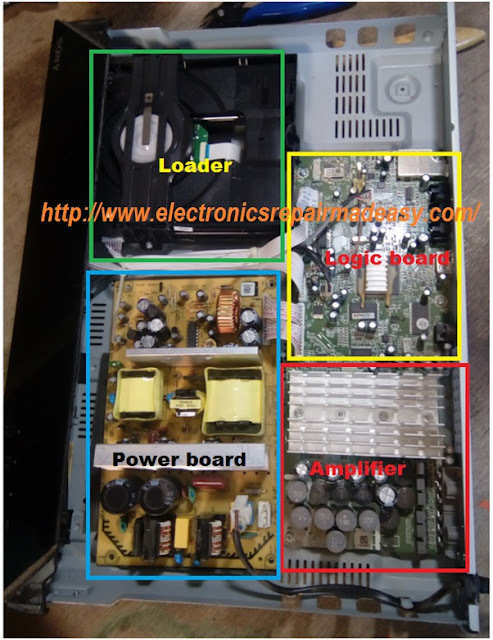 After replacing the two capacitors now it was time to apply the power and see if there is any change and to my surprise the DVD receiver was up and running. The owner was still around and this brought a smile on his face and also for me I was happy to the task accomplished. In case you want to go deeper in DVD player repair here is the book I recommend for you.